Tucked in the $209 billion budget lawmakers passed last month is a budget rider allocating $500,000 for a nonprofit to publish the Texas Almanac, a reference guide that had gotten by for over a century as a for-profit publication. With two sentences tucked into a 958-page, $209 billion budget, Texas lawmakers agreed last month to fund an unusual project in the age of Google: publishing a reference book that had gotten by on private support for more than 150 years. The next edition of the Texas Almanac, a combination census, atlas, history textbook and government directory, will be supported with taxpayer dollars. The Texas Historical Commission, a state agency, is contracting with a nonprofit organization "for the purpose of developing and producing" the tome. The agency is expected to sign a contract worth up to $500,000 with the nonprofit Texas State Historical Association, which has published the most recent editions. The Legislature approved the decision via a rider that was inserted into the budget in the session’s last weeks by state Rep. Trent Ashby, R-Lufkin, who said the idea was brought to him by beer distributor John Nau, the current chairman of the Texas Historical Commission and the past president of the Texas State Historical Association. Nau is also one of the state’s largest donors to Republican campaigns and groups. “It became apparent that it is a state asset and that the TSHA could, at any point in time, because of their financial situation, decide correctly that they couldn't afford it anymore,” Nau said. The first edition of the Texas Almanac was published 158 years ago by The Galveston News, when Texas had only been a state for 12 years. The earliest editions were more like large pamphlets. Over time, the book grew in size and detail, quickly becoming a staple of schools, libraries, government offices and newsrooms. For most of the 20th century, The Dallas Morning News published the almanac every two years. By 2008, the almanac was losing money. The paper donated the book and its archives to the Texas State Historical Association. The most recent edition of the almanac is 752 pages and includes statewide demographic data as well as detailed descriptions of all 254 Texas counties, including a pronunciation guide to town and county names. It also includes data on various crops and livestock, lists of high school football and basketball champions, and obituaries of notable Texans. Nau, who described his interest in preserving the state’s history as a “hobby,” said he approached various statewide officials and members of the Legislature before and during the session about funding the almanac, though he declined to confirm any names beyond Ashby. Ashby said he felt the Texas Almanac had become a state tradition worth preserving, noting he has constituents who collect each edition. 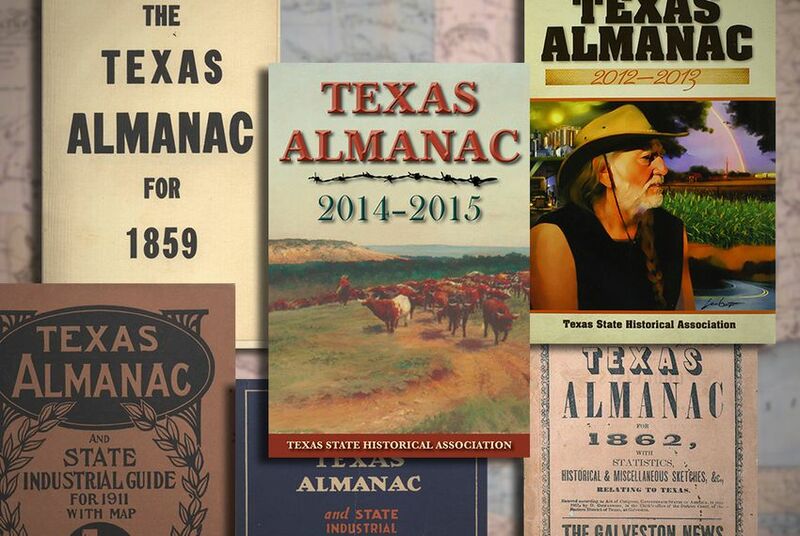 “There was a concern that we were in jeopardy of losing the Texas Almanac if we didn’t have some state support in terms of funding,” Ashby said. “I felt like it was the right thing to do. Hopefully, it’s something we can continue to preserve for future generations." Nau said state support of the book is needed because the almanac doesn't make anywhere near enough money through sales of the book to cover the costs of gathering the information and producing the book. “It is a little bit of the printing, but the reality is it’s the expense of the updating," Nau said. To cut costs, recent editions of the almanac have been printed in China, Nau said. The state funding would allow the book’s printing to return to Texas. Ashby had originally proposed including funding for the almanac in the state budget during an all-night debate on the House floor in March. His proposed amendment, like dozens of others, did not draw significant discussion but was only accepted as part of a section of the budget, known as Article XI, that is reserved for unfunded items. More often than not, items placed in Article XI during the budget process die there. After the House and Senate passed competing versions of the budget, a conference committee was launched to hash out a compromise. House Speaker Joe Straus appointed five of the committee's members, including Ashby, who was able to find funding for his rider in the final weeks of the session. Both the House and Senate voted on the conference committee report on the budget on May 29. As is tradition each session, lawmakers were not able to propose any changes to the report before voting on whether to send it to Abbott’s desk. State Rep. David Simpson, R-Longview, said the almanac rider was just one example of a long-standing problem he has with how lawmakers write the state budget every two years. Millions in projects are often added in at the end of the session. “To include it in the conference committee [report] without approval of the House or the Senate prior to their action I thought was inappropriate and not according to the rules,” Simpson said. The House leadership has differed with Simpson on that issue, pointing to a so-called out-of-bounds resolution that lawmakers approved before voting on the budget last month. The resolution included every change made in the crafting of the final version of the budget, including the addition of the almanac rider. House Appropriations Chairman John Otto, R-Dayton, told House members last month that the resolution brought transparency to the final steps of the budget process, letting "every member of this body see what was done, even if it meant just changing some words." Simpson, who was one of 33 votes against the final budget last month, said he thought it was a mistake for the state to take over responsibility for the almanac’s funding. Nau insisted that the decision to put state funding behind the almanac had broad support. Disclosure: John Nau is a major donor to The Texas Tribune. A complete list of Tribune donors and sponsors can be viewed here.